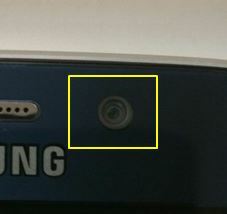 [Galaxy S6/S6 EDGE]Is it faulty that the camera lens appears off center and moving? Your device is not faulty. the exposure time automatically adjusts to take sharp pictures in a dark environment. Lens unit to move up and down. lens may appear to have located itself slightly off centre after the camera has been used. Galaxy S9/S9+: How do I add and use Sports mode? Galaxy Note8: How do I take the best pictures at night?